The beers of De Koninck, including its famed “Bolleke” beer, have been brewed in Mechelsesteenweg for centuries. 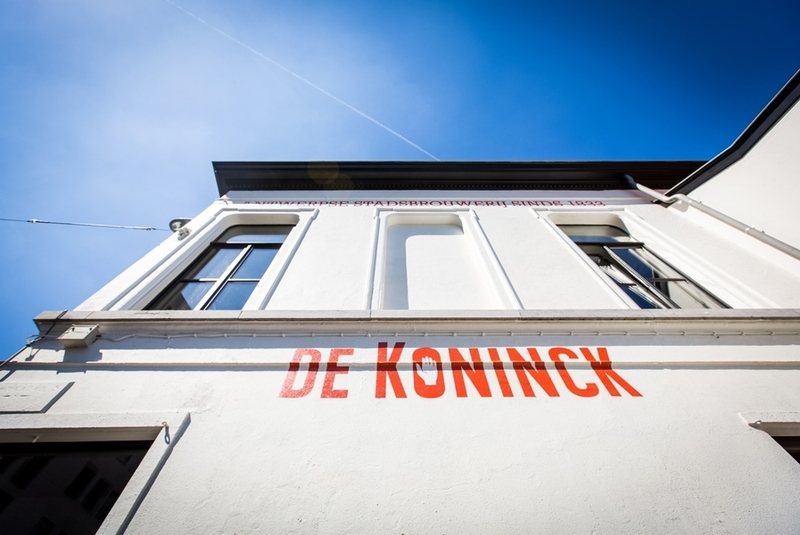 In 2015, the De Koninck city brewery opened an experience centre, inviting the public in for a look behind the scenes. The tour of the centre allows visitors to hear, see and taste the brewery’s story. In addition, the De Koninck site accommodates a culinary food court, where you can taste chocolate, cheese, meats and bread and where you can even eat at a restaurant. On the video screens in the various spaces people share information about beer. You find out more about the brewing process and bottling in the brew house with the copper kettles and in the bottling facility. In another space the brewery has built a pub, which resembles a film set. Here you can see moving portraits of the successive owners of De Koninck talk to each other, as if the photos have come to life. The visit ends in the bar where you can sample some of the brewery’s beers. Gourmets can also order a tasting plate of cheese that has been matured by Van Tricht. Here, you are welcome with your Antwerp City Card! Discover the benefits and buy your City Card online. The time when only beer was brewed at De Koninck is over. A number of culinary establishments have now set up stall at the site of Stadsbrouwerij De Koninck, where you can buy, taste, attend workshops or even dine to complete your brewery visit. For example, chocolatier JITSK established a chocolate workshop and shop here, where he makes sweet creations that are appreciated the world over. Cheese ripeners Van Tricht have ripened their cheeses at the brewery for a number of years, but have now also opened a shop and Only Cheese bar, where you can taste and buy cheeses. Top butchers De Laet & Van Haver accommodated their Butcher’s Store at the site. While you choose meat from the refrigerated counter, you see the pieces hanging in the glass refrigerator. Chef Bert-Jan Michielsen and sommelier Luc Dickens serve up the tastiest dishes at their restaurant The Butcher’s Son. And at Minestrone Cookbooks, culinary photographer and publisher Tony Le Duc give cookery sessions and workshops at the brewery’s former lab. Anyone who is left hungry or thirsty after this can head to the Brasserie De Pelgrim on the site for a freshly tapped Bolleke or tasty Flemish fare in an original and cosy setting. And if you feel the need to work off the calories afterwards, you can make your way to the Velodrome, the City’s ultimate bike shop. Last but not least, baker Kenney Van Hoorick started The Bakery here, where his fresh sourdough bread is very popular. Every week, he manages to create a new type of bread.